Is your dog afraid of thunderstorms? Do loud sounds make her cower? 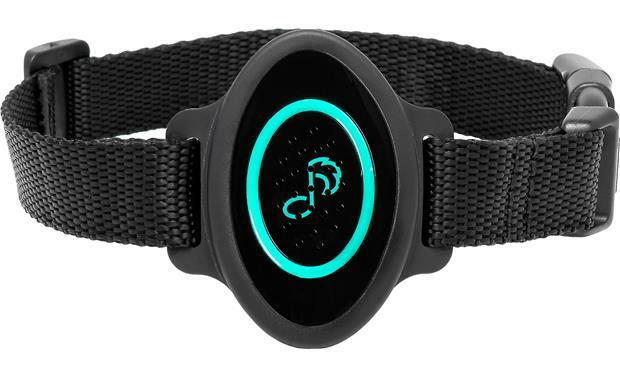 The Ultra Calmer is a musical collar that provides dogs with quick sonic relief from anxiety brought on by any kind of loud, unpleasant noises. 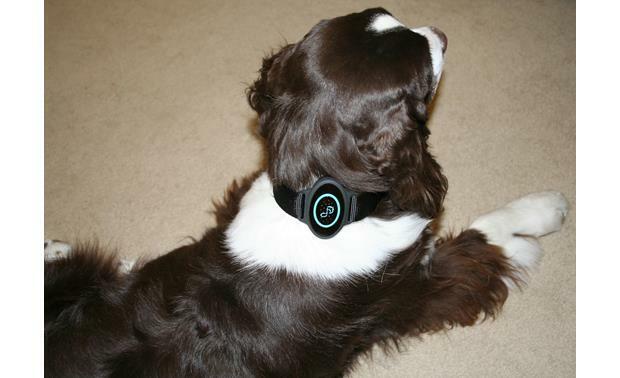 The Ultra Calmer collar plays soothing music to comfort dogs in times of stress. 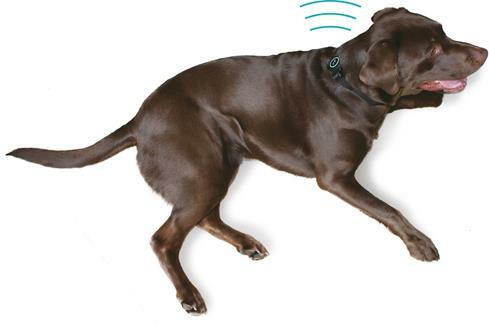 The collar goes on with the speaker worn on the back of the neck, between your dogs' ears. At the first sign of stress, press the "on" button, and special frequency-modified dog music comes on to soothe your canine companion. The volume controls are designed not to exceed a dog's calm range, and you can adjust the volume to your dog's personal comfort level. The Ultra Calmer can play music for up to three hours at a time, and isn't meant to be used for long stretches of time. If you want to maintain the calm vibe for longer periods, give the Pet Tunes speaker a try, and prepare to enjoy low-key times with your mellowed-out pooch. 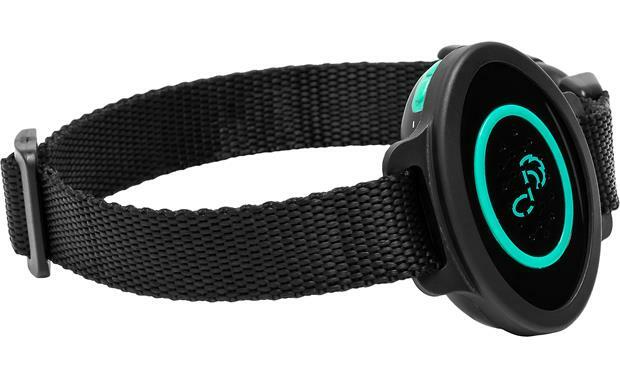 Overview: The Pet Acoustics Ultra Calmer (PA8002) is a stress-relieving collar for dogs. The unit features a small speaker on an adjustable collar, which plays calming music to help reduce stress and calm canine behaviors. The Ultra Calmer is powered by a built-in Lithium-Ion battery, and comes with a USB charging cord. This package is recommended for medium-sized dogs with neck sizes of 12" to 18" in circumference. Music: The unit comes with a 512MB microSD card, loaded with approximately 90 minutes of soothing, frequency-modified music. The music is clinically proven to reduce stress in animals, and can solve canine problems, such as environmental stress, noise phobias, and travel anxiety. The microSD card is not designed to be removed or exchanged, as the pre-installed music is set at the Safe Volume level for canine hearing. The music is designed for canine hearing levels and to help them endure thunderstorms, fireworks, and other anxiety-causing noise. Loading your own music onto the microSD card is not recommended. Operation: You should use the Ultra Calmer at the first sign of sound agitation in your dog. The unit should be positioned on the back of your dog's neck, between the ears. 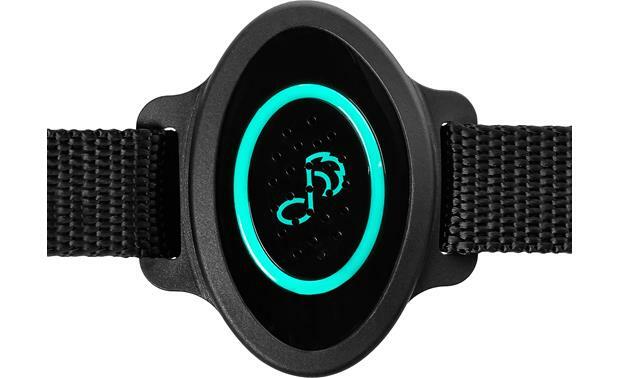 It has a simple On/Off button and an adjustable Safe Volume that does not surpass the canine calm range. Within minutes of turning on the Ultra Calmer, your dog begins to calm down, and his shaking, pacing, and panting are diminished. 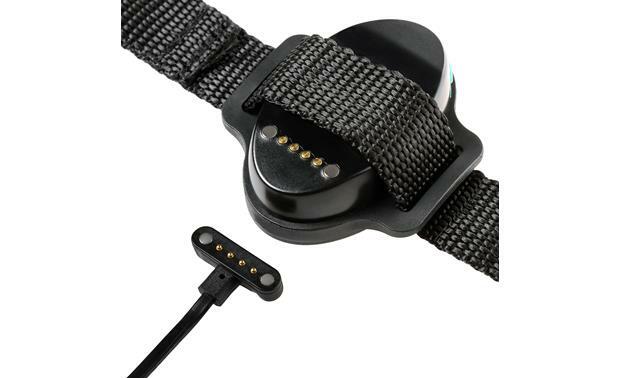 The Ultra Calmer collar should not be used more than 3 hours at a time. 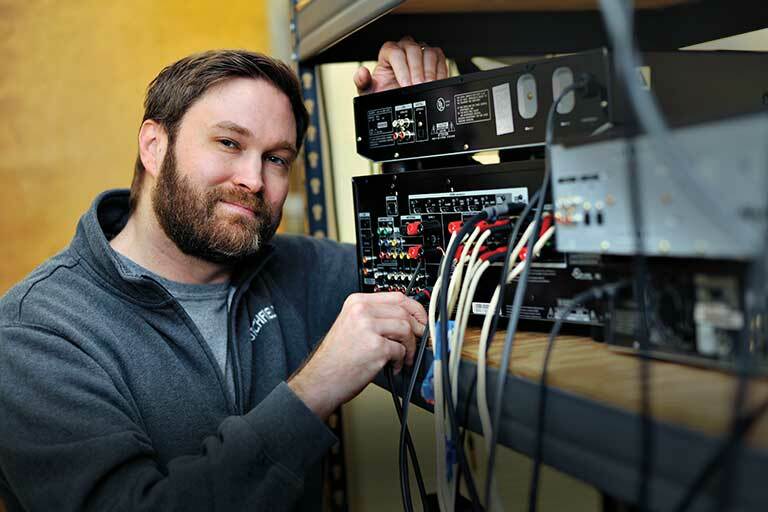 Power Requirements: The Ultra Calmer is powered by a built-in Lithium-Ion rechargeable battery (3.7V 300mA). The battery can be charged in approximately 2-1/2 hours using included magnetic USB charging cable, and will continuously play music for up to 3 hours.